The "backyard" at Bakklandet Skyddstation. 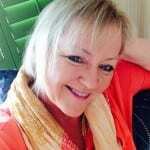 Photo by Terri Marshall, Globetrotting TravelingGrandmom. 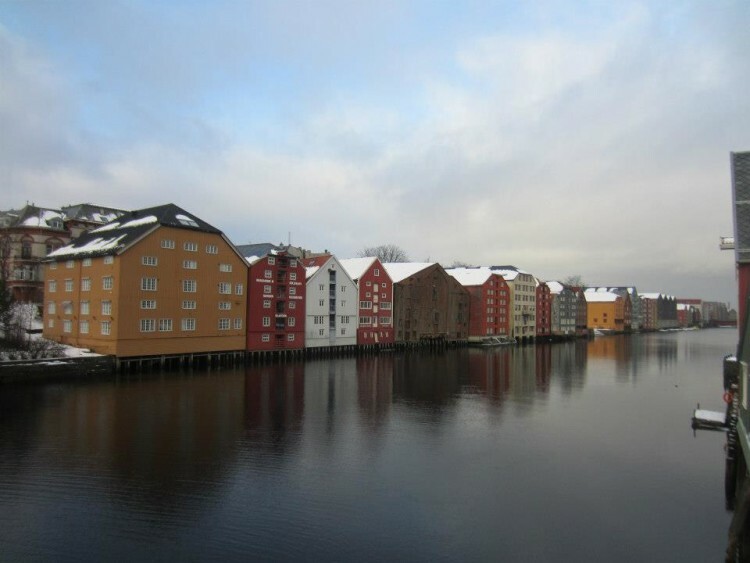 Trondheim, Norway’s third largest city, is the cultural center of the Trondelag region. This picturesque city with its timber built fisherman warehouses of red, gold, brown and green flanking the sides of the Nidelva River is a fascinating contrast of old and new. Home to the majestic Nidaros Cathedral, outstanding museums, delicious locally sourced cuisine, and a lively music scene, Trondheim is an absolute delight. Here are six of my favorite Trondheim experiences. TImber built warehouses along the Nidelva River in Trondheim. Photo by Terri Marshall, Globetrotting Grandmom. You can’t miss Rockheim. Seriously, you can’t. It is a massive box topped structure situated along the edge of the Trondheim Fjord. 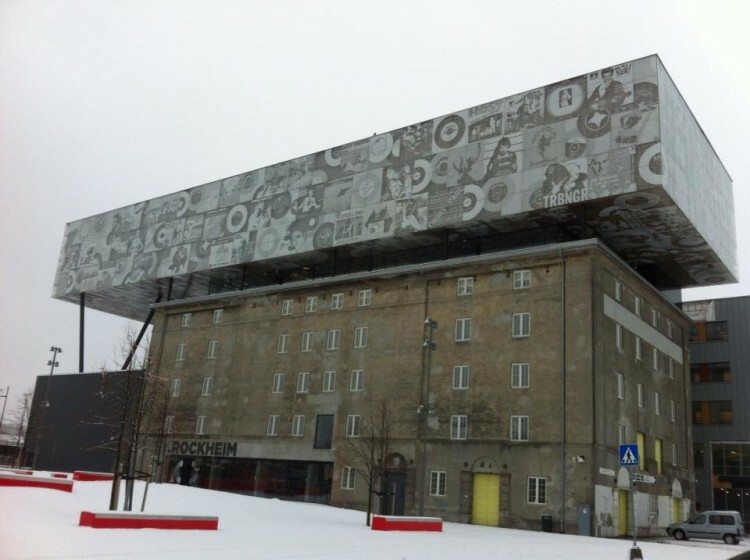 Rockheim is Norway’s National Museum of Pop and Rock. Visits begin on the 6th floor, aka the “Top Box,” and proceed down floor by floor through all types of interactive displays. Explore instruments and jam to popular Norwegian tracks at the Rockheim Jam Station or create your own mix of Norwegian hip hop tunes in the Hip Hop Room. You can even try break dancing if you dare. I skipped the break dancing and attempted playing guitar with Norwegian guitarist Ronni Le Tekrø in the Ronni Room, but he ran out of patience with me – well at least his video did. Rockheim Museum in Trondheim. Photo by Terri Marshall, Globetrotting TravelingGrandmom. Who would turn down an opportunity to cross a bridge of happiness? Built in 1691, the Gamle Bybro (OldTownBridge) is also called the “Portal of Happiness,” making it a popular spot for marriage proposals. Across the bridge, Trondheim’s “Old Town” – Bakklandet, with its cobblestone streets lined with carefully preserved small 17th century houses transformed into cafes and galleries — is a treat. 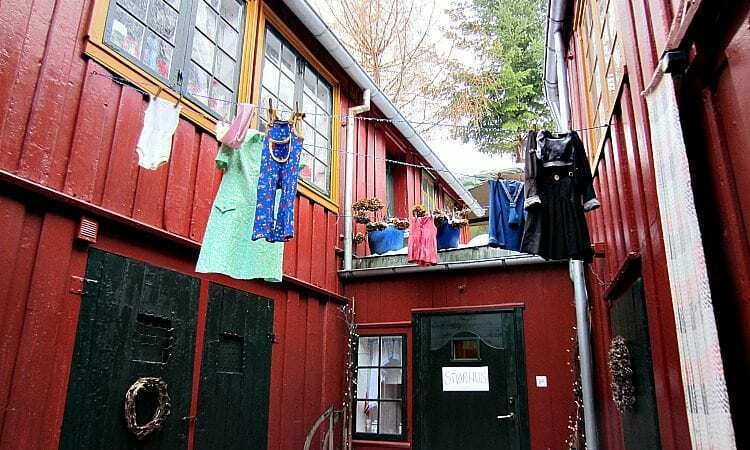 One of the most popular cafes is Bakklandet Skyddstation, where owner Girli Riis Holmen personally greets every patron and serves up pickled herring along with other Norwegian delights. Berry and mushroom picking is a Norwegian tradition in early August through September. 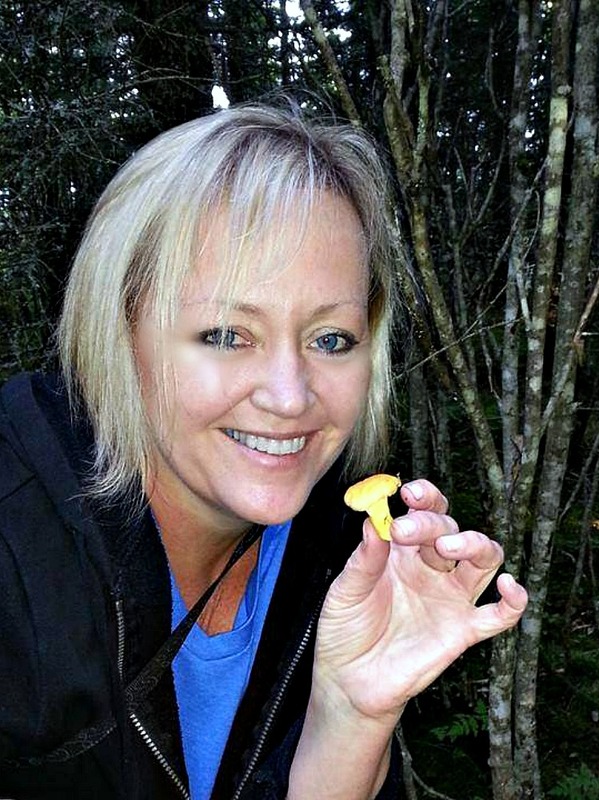 I followed Norway’s celebrity chef, Mikael Forselius, into the woods to forage for chanterelle mushrooms. Mikael showed me how to look under leaves in the boggy areas for the prized mushrooms. I kept gravitating toward the pretty red and white mushrooms which (he informed me) are poisonous. It’s a good idea to go with someone who knows their mushrooms. In addition to mushrooms, there are wild cranberries, blueberries and cloudberries – a sweet berry unique to Arctic regions. Nothing beats having fresh blueberries surrounded by nature. Mushroom picking in Trondheim. Photo by Lisbeth Fallen. Yes, you heard me right. 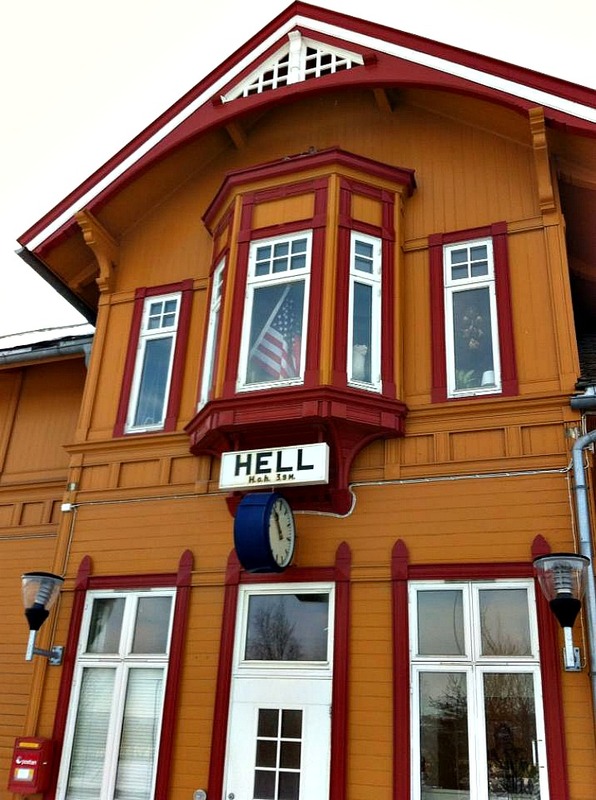 Hell is a little village just outside Trondheim that has become a bit of a tourist attraction. The railway station has a sign that reads “God Expedition” which is the archaic Norwegian language for cargo. When I heard about it, I had to go. Besides I was there in the winter for my first visit and I was just dying to caption my photo with “Hell has frozen over.” In September, there’s an annual blues festival at Hell Station – Blues in Hell. You’ve got to love that! 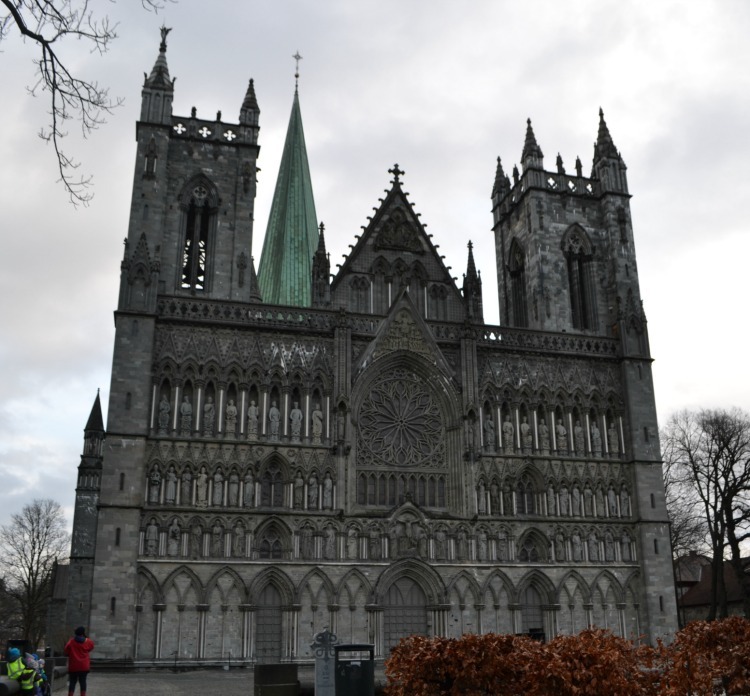 The majestic Nidaros Cathedral built over the grave of St. Olav, Norway’s patron saint, is one of the city’s greatest treasures and has been an important pilgrimage site for centuries. 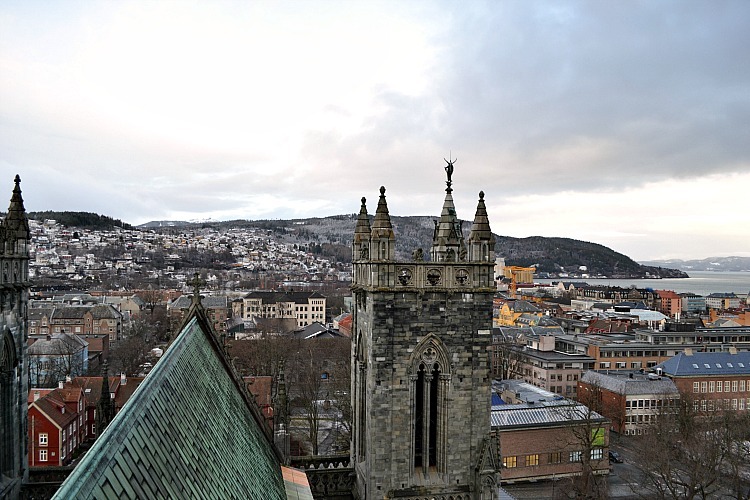 An excellent way to experience the Nidaros Cathedral is with a climb to the top. Not for the claustrophobic, the tour leads you through narrow passageways and up a winding medieval staircase. Your breathlessness is rewarded by beautiful panoramic views of the city and surrounding fjord. View of Trondheim from the top of Nidaros Cathedral. Photo by Terri Marshall, Globetrotting TravelingGrandmom. Be sure to explore top to bottom because the cathedral’s crypt displays a fascinating collection of medieval tombstones found during excavations of the cathedral dating from as early as the 12th century. Many have inscriptions in Latin and Old Norse and include portraits of the deceased. A glass-topped grave with the skeletal remains of a Viking is also on display. Next to the Nidaros Cathedral is the Archbishop’s Palace. The coronation museum houses the Crown Regalia exhibition – a collection of exquisite Norwegian Crown Jewels. During St. Olav’s Festival, the courtyard of the Archbishop’s Palace is the sight of a lively medieval marketplace and concerts. Nidaros Cathedral in Trondheim. Photo by Terri Marshall, Globetrotting TravelingGrandmom. Outside Trondheim, Norway’s 65-mile Golden Road winds past spectacular fjords, over hills and around hairpin bends – each turn bringing views more breathtaking than the last. 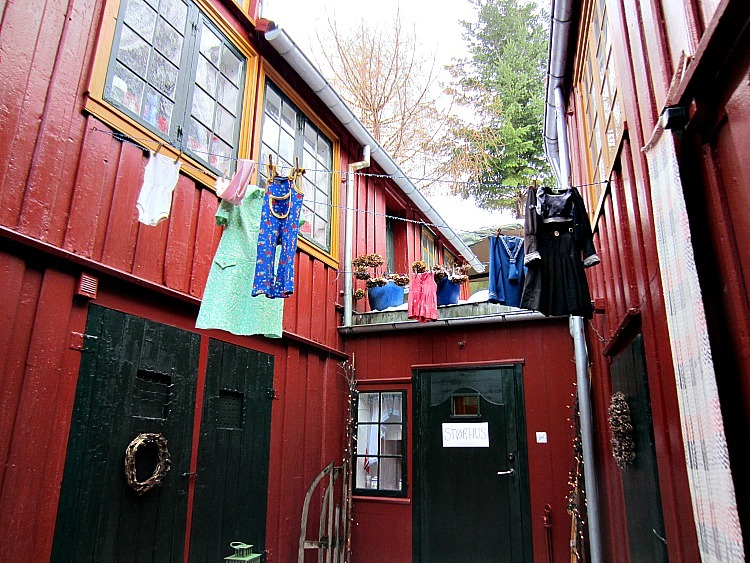 Located on the peninsula Inderoy in central Norway, the Golden Road is a cooperative comprised of farmers, galleries, artists, craftsman and butcheries. Much of the food produced in this fertile region has been voted the best of its kind in the world. 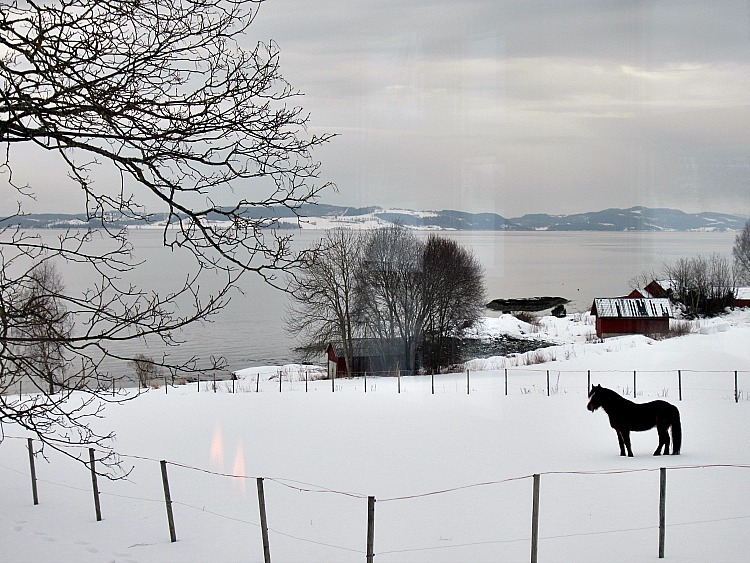 There is a focus on “short-traveled food” in Norway. Local farmers open up their homes to visitors, and serve farm-fresh fare while sharing stories of centuries-old family traditions of farming. A favorite stop along the trail is the picturesque Gangstad Farm complete with a big red barn where you’ll find award-winning cheeses and licorice flavored ice cream. In the summer months you can meet the cows responsible for these goodies. If you haven’t been to Trondheim…go. I promise you will be delighted. If you have been, tell us about your experience there.